Many employers try to protect their business interests by requiring employees to sign agreements restricting them from engaging in competitive activity during their employment and for a certain time period after they leave the job. A typical non-compete may restrict the employee for up to two years from working for a competitor in a certain geographic area where s/he will perform duties similar to those performed for the employer. Some employers, however, try to obtain much more restrictive agreements. For example, they may seek to prevent the employee for five years or more from working for a competitor anywhere in the world or in any capacity. In Georgia, the date on which you signed your non-compete agreement is critical. The Georgia Restrictive Covenants Act, an employer-friendly law making it far easier to enforce non-competes, was originally intended to become effective on November 3, 2010, but due to a technicality concerning the effective date of a related amendment to the Georgia constitution, was reenacted on May 11, 2011. The law is not retroactive, so it applies to non-compete agreements signed after May 11, 2011, although there is some uncertainty about whether it applies to non-competes signed between November 3, 2010 and May 11, 2011. One thing that is clear is that if you signed a non-compete governed by Georgia law after May 11, 2011, you will have a much more difficult time getting out from under it. Previously, under the old law, a non-compete could be stricken down for a variety of reasons. Often these agreements were found void because one or more aspects of their restrictions were considered unreasonable. For example, if the duration was too long, the geographic reach too wide or the restricted activity too broad. However, under the new law, courts are authorized to utilize “blue penciling” to modify an unreasonable non-compete by narrowing its restrictions to make them reasonable and enforcing the modified version. For example, if the court finds a nationwide geographic scope unreasonable, it could limit it to the State of Georgia and enforce the non-compete as modified. 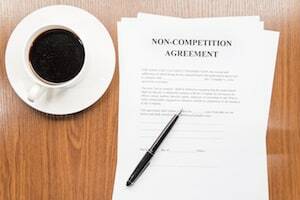 Non-compete agreements often include non-solicitation provisions, which restrict employees from soliciting or inducing (a) the company's customers or prospects to do business with another company, and/or (b) the company's current or recently departed employees to join another company. If you breach a non-compete or non-solicitation agreement, your former employer could bring a lawsuit against you (and your new employer) to enforce the agreement and, if it wins, obtain money damages and other relief, including disgorgement of profits earned in a competing business, an order barring you from working for your new employer, and requiring you to pay your former employer’s attorneys’ fees. In other words, a mistake in this area could have a serious impact on your ability to earn a living. For more information, please see our Non-compete Agreements - Frequently Asked Questions page. If you are subject to a non-compete or non-solicitation agreement and are considering making a move, it is critical that you obtain advice from an attorney experienced in dealing with restrictive covenants in Georgia, such as the Atlanta non-compete lawyers at Fidlon Legal. DISCLAIMER: Material presented on this website is intended for informational purposes only. It is not intended as professional advice and should not be construed as such. Transmission of the information and material herein is not intended to create, and receipt does not constitute, an attorney-client relationship with Fidlon Legal or any member thereof. We serve clients throughout Georgia including those in the following localities: Fulton County including Alpharetta, Atlanta, Johns Creek, Milton, Roswell, and Sandy Springs; Cherokee County including Canton and Woodstock; Cobb County including Acworth, Kennesaw, Marietta, Smyrna, and Vinings; DeKalb County including Decatur, Dunwoody, and North Druid Hills; and Gwinnett County including Buford, Dacula, Duluth, Lawrenceville, Norcross, Snellville, and Suwanee.